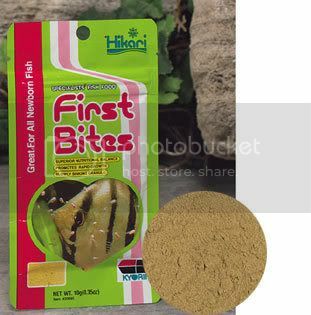 Please share your experiences or opinions on using this food for Shrimp. I wanted to start feeding First Bites to my shrimp, especially tanks with babies. Fish Meal, Milt Meal, Wheat Flour, Antarctic Krill Meal, Clam Meal, Spirulina, Seaweed Meal, DL-Methionine, Monosodium Glutamate, Garlic, Enzye, Vitamin A Supplement, Vitamin D3 Supplement, Vitamin E Supplement, Menadione Sodium Bisulfite Complex, Thiamine Mononitrate, Riboflavin, Pyridoxine Hydrochloride, Niacin, Calcium Pantothenate, Biotin, Choline Chloride, L-Ascorbyl-2-Polyphosphate, Inositol, Manganese Sulfate, Zinc Sulfate, Ferrous Sulfate, Calcium Iodate, Cobalt Sulfate, Magnesium Sulfate, Aluminum Hydroxide. I have heard all leading LFS guys suggesting Hikari...For Fry's I use regular food and powder them fine and feed them. I generally look at Protien and since it claims to be around 48%...which is good for growth , you can probably go with it. If you have hardy shrimps like the typical RCS yes its safe to be fed.